This week, a theater in Vacaville, Calif., hosted a special screening of the new action epic Jurassic World: Fallen Kingdom for children fighting cancer. Police officers, first responders and firefighters in the area also hosted fundraising events to benefit the children in attendance, and more tickets to the screening were sold to the community to raise money for the kids. 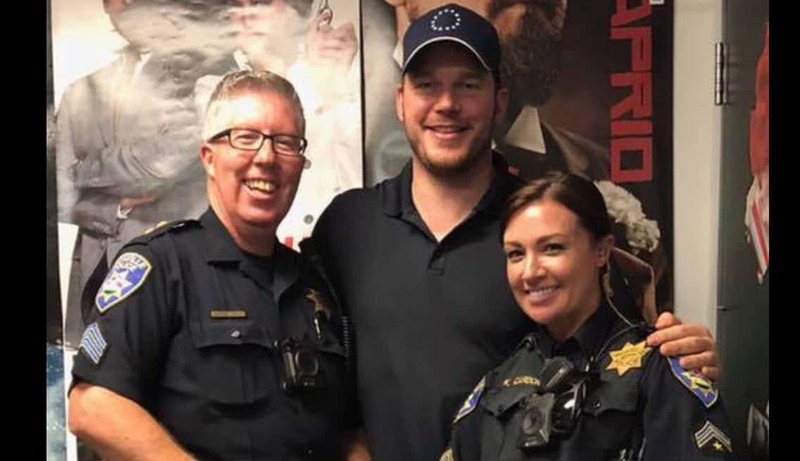 But, as the movie was about to start, a special guest showed up with some words of encouragement for the kids: the movie’s star, Chris Pratt. Pratt’s brother, Cully Pratt, is a local police officer who arranged the appearance.